Types of industries that need fashion designers saturate the job market for graduates of design schools around the world. From marketing agencies to clothing manufacturers, and at every step of the process in between, fashion graduates fill an important role in all types of industries. Considering that fashion is a part of everything we see, it’s no wonder that so many fashion schools can boast about famous alumni and super-success stories. 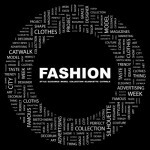 Unique clothing design and private label companies are but a small sector in the types of industries that require fashion grads for their success. Which Industries Hire Fashion Designers? In short, just about every industry needs fashion designers! Most occupations that require uniforms hire designers to create uniforms that are comfortable and versatile. Advertising agencies need fashion designers to dress models in a way that will convey a certain image. Department stores look to designers to create unique lines of apparel, shoes, and accessories. Jewelers hire designers to create the next holiday sensation. Knowing that so many types of industries need fashion school graduates, the more important question is how does one find a job in the industry they love? What Do Hiring Industries Seek in a Fashion Design School Graduate? “POINT 1. From the first online (or offline) portfolio to the last portfolio you sift through, ask yourself: Which one blew you out of your socks? POINT 2. Those portfolios that knock your socks off are where to start your follow-up. POINT 3. What made them catch your eye, hold your breath, and call in the rest of your team to see what you see. If you know what you need, seeing what fits the bill should be easy. The plus of looking, is if you find something more, something je ne sais pas (I don’t know what), but when you see it – wow – you know it. It might be good to know what kind of environment they best design in… It is not just a passing curiosity to know how a designer thrives best. And aside from the physical environment, what is the computer environment or OS (operating system) – along with the programs – that made their work pop. Genius may also have its source in the tools used. POINT 4. A good portfolio contains – like manners – a designer’s best foot forward, their best work, their best representation of all of what they can do as a designer. And like manners, it’s not a façade, it’s not a put-on, it’s in fact the super powers that they have cultivated throughout their career to the point where they are now: Now, ‘You Are Here’. So no worries, they should be able to back up what ever they have presented. That is to say, they should be able to apply all their talents and skills to whatever you may challenge them with. QUESTION #1. Are you capable of detailing your designs in a tech pack? QUESTION #2. Are you capable of leading fit meetings for your designs?